No matter what rewards your job might bring—a corner office, a fancy title or big salary—they don’t compare to the investments you make in your children’s lives. What could be better for a guy than playing in the NFL? I never made it to the NFL, and now I can see that’s probably a good thing. But over the years I’ve spoken to just about every NFL team and I’ve had the privilege of getting to know some players on a personal level. From time to time they confide in me, and sometimes we’ll have lunch or meet just to talk through issues or challenges they’re facing. Recently, one of those players, who’s retired now, shared the podium with me at a local event. They showed a video with amazing highlights from his football career, and then he made some brief remarks. But as I stepped up to speak that day, I wanted to give some encouraging and challenging words to that man. I was in front of everyone, but I spoke directly to that player, my friend, and what I said doesn’t apply just to retired NFL stars. People in the room applauded, and I don’t think it’s because I’m so wonderful or wise. They recognized that even though our culture often glorifies athletes and entertainers, there are other roles that are more important—roles with potential to change our culture. My friend was affirmed, but I hope every other man was also. And as you read this today, dad, that includes you. By faithfully living out Championship Fathering—loving, coaching and modeling for your children, and then being part of the larger cause by encouraging other kids and enlisting more dads—you can do things that are greater than any hall-of-fame athlete or famous celebrity. You’re the best kind of hero—an everyday hero. Your children might not admit it; they may not even realize it. But they look up to you, dad; they depend on you. So, no matter what rewards your job might bring—a corner office, a fancy title or big salary—those things don’t compare to the investments you make in your children’s lives. And you may receive other well-deserved rewards and recognition for things you do in life, and that’s great. But I hope you’re devoting yourself toward a goal that doesn’t always have immediate rewards, and sometimes the perks and recognition never come. But that’s okay. Being a dad isn’t about rewards and recognition, but choosing to do what’s best for our children. Even in those simple things you do—like making daily sacrifices or playing games, driving the car pool or helping with homework, checking in with your child with a random word of encouragement, or staying faithful with child support and visitation even though it’s a huge challenge—you are reaching for greatness. And like I said, because of that, your best years are ahead of you! Make the most of them, dad. What’s your take on this? What are the best rewards of being a committed dad? 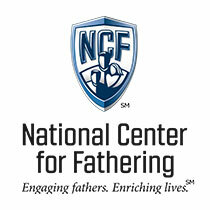 How do you see your fatherhood in relation to your other life goals? Think about life five years in the future. What will your children need from you then? Start working to be that kind of dad. Tell your kids how great it is to be their dad. Talk about why that role is more important than many other things you do. Be honest. Deep down, is your heart really turned toward your children? Or are you focused mainly on some other pursuit? Make one change in your daily habits to be more tuned in to your kids. Point out and affirm men around you who are forgoing personal gain so they can invest more of themselves in their families. Whatever your fathering role calls you to today, approach it with confidence. Stand tall in your role.